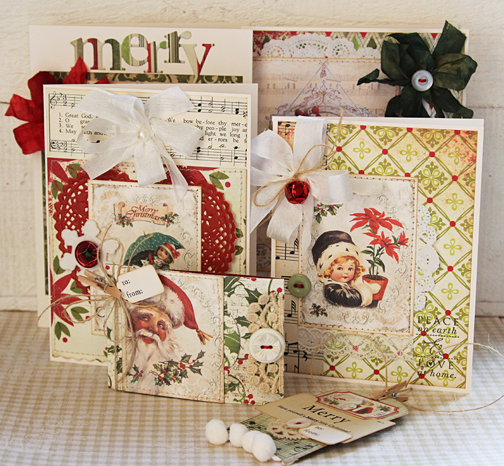 Tammy Roberts has created four beautiful Christmas cards and two tags for her December class at SG. As always with Tammy's classes, expect to learn some fun new techniques. She'll also have a few touches done for you, like the machine stitching which is one of her trademarks! The class will be held Tuesday, December 6 at 6 pm, and the fee is $15. To see close-up photos of all the individual items, click here to go to Tammy's blog.